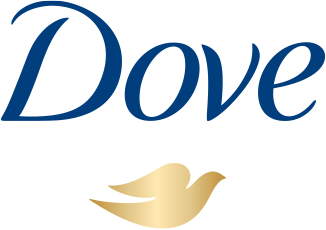 This new body lotion with replenishing satin gel from the Dove DermaSpa luxury skin care range gently moisturises your skin while improving elasticity and firmness. 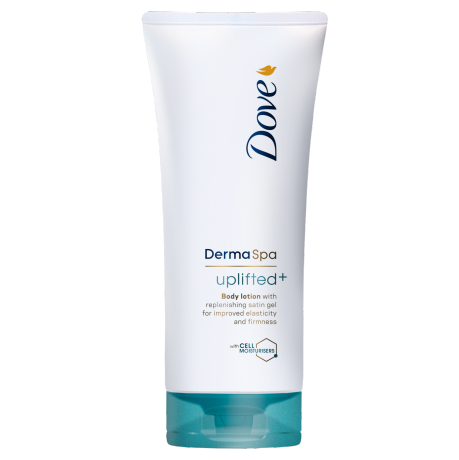 If you're wondering how to get smooth skin with improved elasticity and firmness, Dove DermaSpa Uplifted+ Body Lotion could be just what you need. This moisturising body lotion provides deep* moisture and nourishment to help firm your skin from within* from the first use. 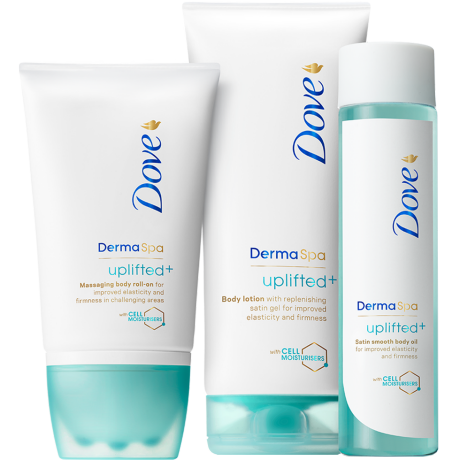 Dove DermaSpa Uplifted+ Body Lotion is the best body lotion from Dove to help give skin its spring back. 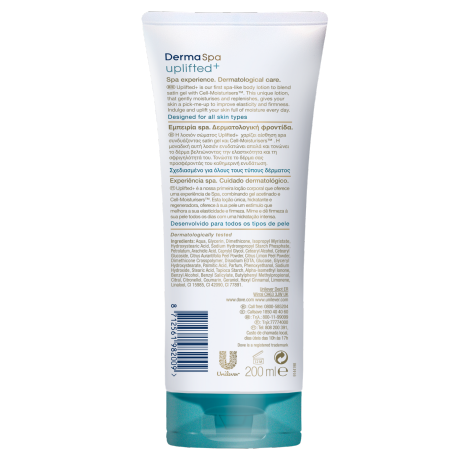 It combines a feather-light satin gel with Cell-Moisturisers® – key moisturising actives compressed from natural seed oils. The formula works at the heart of your skin cells*, leaving them plump and full of moisture, improving its elasticity and firmness. 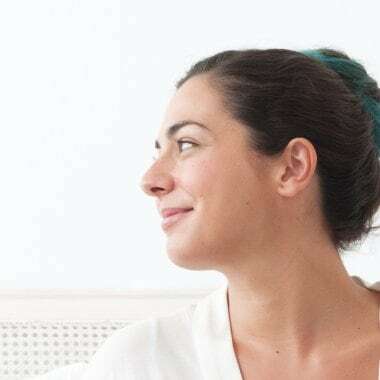 A combination of light self massage movements, the gorgeous scent, and the way this luxurious body lotion is quickly absorbed, will lift your spirits and help give you that just-out-of-the-spa glow. It's suitable for sensitive skin and for best results, should be used as part of your daily skin care routine. Use in the morning and/or evening after a bath or shower to uplift your senses. Apply with light massage movements from the ankles to the waist, then from wrists to shoulders, and all over the upper body.